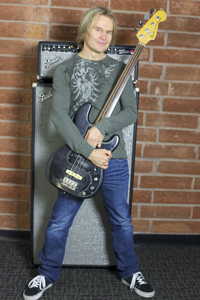 Get rock bass legend Tony Franklin onto YOUR tracks for less than the cost of an hour of pro studio time! 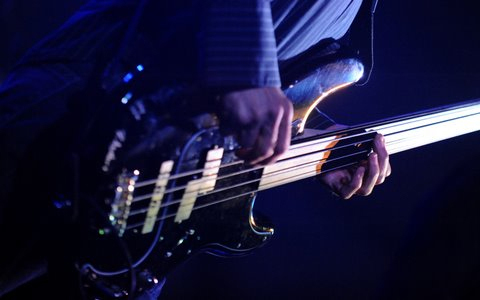 Imagine the groove, the tone, the attitude, the experience ... all there for you to jam along with, add to your own songs or build totally new songs from the bass guitar up! Tony has created an original groove library designed for just that. 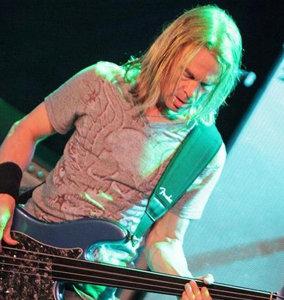 Tony Franklin Fretless Bass Grooves Volume 1 gives you 12 songs with 13 or more looping sections in each. 184 unique loops in total! Most loops are 8 bars long, but some are 16 or even 24 bars. No mindless repetition here. 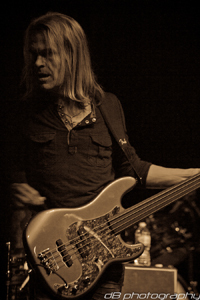 Each loop was carefully composed and performed by Tony to create the living, organic groove that only a real bass player can provide. And you can use the loops royalty-free! 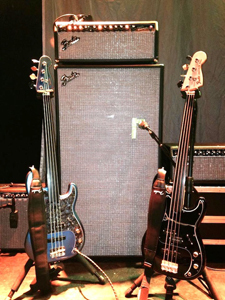 Build your own rock, pop or even funk hit using the inimitable groove of fretless bass master, Tony Franklin. The library is also ideal for drummers: just sit down at your drums and jam along with this legendary bassist. Pick up your guitar and do the same! With varying styles, multiple tempos and keys, Tony Franklin Fretless Bass Grooves Volume 1 will slide you into the ideal creative space time and time again. 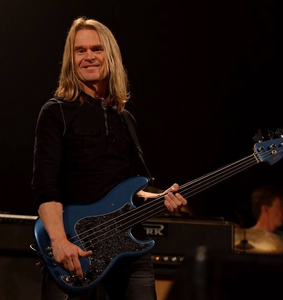 Tony's years playing with The Firm, Blue Murder, Whitesnake, David Gilmour, Kenny Wayne Shepherd and many more top artists have made him the bass legend that he is today. Now get that epic groove into YOUR music! This product includes 12 songs in 3 formats: WAV, Rex2 and RMX. First, you get the complete songs played start to finish -- both with and without a click track -- as standard WAV files so you can start jamming with Tony immediately. Next, you get each section of the song as a perfectly looping WAV file that you can drop right into your DAW or sampler. Each song has between 13 and 19 individual sections labeled like "Intro," "A1," "A2," "B1," "Chorus," "Rideout," etc. This way you can assemble your own song using the sections in any order you want. Then for power users, we have included "beat-sliced" files in 2 popular formats: Rex2 and RMX. These files allow compatible software to adjust the playback start time of each slice so that the loop can dynamically match the tempo of a song without altering the pitch of the loop, as would normally happen if the audio file was slowed down or sped up. Beat-sliced files are supported by PreSonus Studio One, Propellerhead Reason, Steinberg Cubase, Steinberg Nuendo, Cockos REAPER, Apple Logic, Digidesign Pro Tools, Ableton Live, Cakewalk Project5, Cakewalk Sonar, Image-Line FL Studio, MOTU Digital Performer, MOTU Mach 5 (software sampler), Spectrasonics Stylus RMX and Synapse Audio Orion Platinum, among others. Check out Tony's introductory video below or here on YouTube.